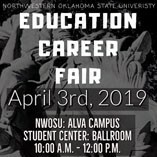 Education employers seeking employees have an opportunity to go right to the source by attending the spring 2019 Education Fair at Northwestern Oklahoma State University-Alva on Wednesday, April 3, in the Student Center Ballroom from 10 a.m. to noon. 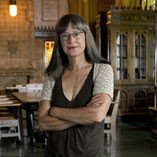 Northwestern Oklahoma State University’s Department of English, Foreign Language and Humanities will play host to essayist, scholar and 2017-18 state poet laureate Jeanetta Calhoun Mish for the Visiting Writer Series on Monday, April 1. 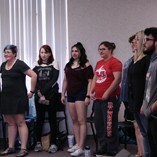 More than 80 people have been in rehearsals, building set, getting costumes and stage props ready as the Northwestern Oklahoma State University Fine Arts Department prepares for “Joseph and the Amazing Technicolor Dreamcoat” set for April 11-13. 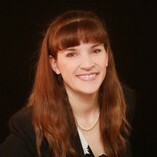 Officials at Northwestern Oklahoma State University today announced the naming of the Division of Nursing and its doctoral program in nursing practice (DNP). 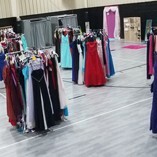 Hundreds of dresses were given away for free to students from 20 high schools during the annual Primp for Prom event recently held in the Woodward High School Practice Gym. 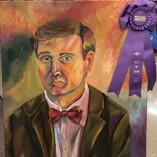 Jacqueline Ruhl, senior political science major at Northwestern Oklahoma State University, has been named a 2019 Campus Compact Newman Civic Fellow. 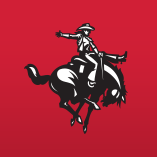 Enrollment for the 2019 fall semester at Northwestern Oklahoma State University will open Tuesday, March 26. 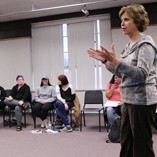 Northwestern Oklahoma State University’s Fine Arts Department will present the musical “Joseph and the Amazing Technicolor Dreamcoat” April 11-12 at 7 p.m. and April 13 at 2 p.m. in Herod Hall Auditorium on the Alva campus. 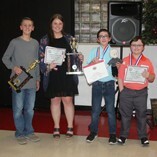 Students from seven different schools earned top awards during the Northwest Oklahoma Regional Science Fair held at Northwestern Oklahoma State University recently.